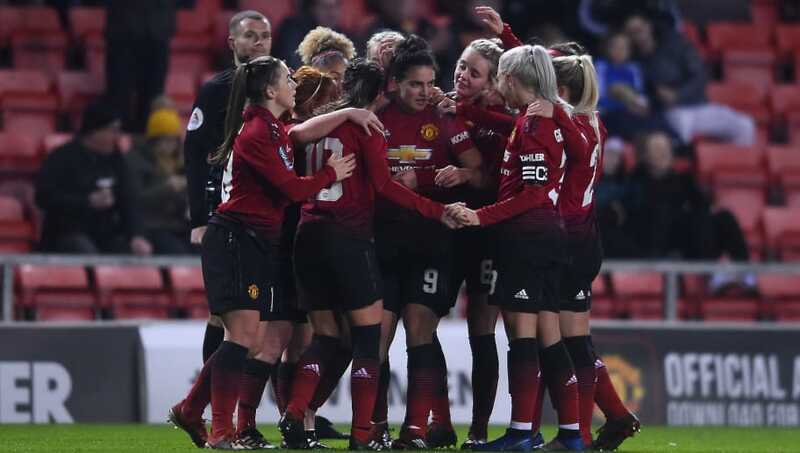 ​Manchester United and Charlton Athletic saw their promotion-focused Women's Championship clash abandoned on Sunday as a result of the serious injury suffered by Charlton defender Charlotte Kerr that required lengthy on-field treatment from medical staff. Both teams are eyeing a place in the first tier Women's Super League next season and are embroiled in a four-way promotion battle at the top of the Championship. United, who had scored 52 goals and conceded just four in 11 league games this season prior to kickoff, took the lead in the 11th minute through midfielder Charlie Devlin. But the game in south east London was halted because Kerr had been involved in a collision as the goal was scored. The defender received treatment on the pitch from both sets of medical staff and an ambulance was called to the ground. When it eventually arrived, around 30 minutes later, Kerr was transferred to a local hospital and the referee made the decision to abandon the game. It is thought that the decision came after all the emergency oxygen had been used up during the on-field treatment, with competition rules stating that emergency sports first aid equipment, including an oxygen supply, must be available at each venue for every match. Charlton confirmed that Kerr's condition improved upon arriving at hospital, while the player herself later tweeted, "Thank you everyone for the kind messages, really appreciate the support." Charlton also offered 'sincere thanks' to United staff for aiding Kerr's treatment. Comment from an FA spokesperson confirmed that the national governing body is 'in communication' with both clubs to understand more about the incident and awaits the referee's report, while underlining it has 'thorough matchday medical requirements'. Fans have voiced criticism on social media over the lack of an ambulance on-site at kickoff when, for example, it is a formal requirement in the men's Premier League for the home team to ensure that a dedicated, fully equipped and properly staffed ambulance is available at every game should a player or match official require emergency treatment and transport to hospital. Despite outlining that emergency sports first aid equipment must be available at each game, the FA's 2018/19 Women's Super League and Women's Championship competition rulebook does not include an official requirement for an ambulance to be present. The abandoned game saw United leapfrogged into first place in the Championship table by Tottenham, who beat free falling Lewes 3-0 in their game. Spurs are now two points clear of United, although have played a game more. Fellow promotion chasers Durham were unable to keep the pressure on after being held to a 2-2 home draw by a struggling Aston Villa and dropping two points. Elsewhere, fifth place Leicester beat bottom club Millwall 3-2, while mid-table London Bees prevailed 2-1 against Crystal Palace. For a roundup of the latest action from the weekend in the Women's Super League, click here.